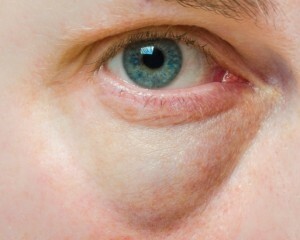 Eye bags or puffy eyes are the swelling around the eyes. Some puffy eyes are considered normal although other factors such as age and fatigue contribute more to the swelling. The common causes for eye bags are over sleeping or sleep deprived, fluid retention, alcohol and tabacco/cigarettes, crying and aging. Fillers are a great under eye treatment to combat hollowness and loss of fat under the eyes. Depending on the eye structure, fillers can almost instantly reduce the appearance of under eye bags. On the other hand, hemosiderin staining is caused by iron pigment that leaks from very fragile veins around the eyes thus, the appearance of dark circles. Laser treatment is one solution that can be able to dissolve this staining and tighten the skin around the eyes.